Stamping Sue Style: It's been a while .. I have to be honest I do feel really rusty sitting down to type up a blog post. Blogger looks to have changed a little too which had me foxed for a few seconds ! Life has been somewhat challenging over the last 17 months and at last it feels like there maybe some calmer waters ahead, which means I can get back to doing what I love, crafting ! So, to launch myself back in to the blogging world again I have just a short post as the main one is over on the PaperArtsy blog. It's all about masks for the current topic, which is right up my alley ! As I love stencils, masks are just another spin on the same vein. 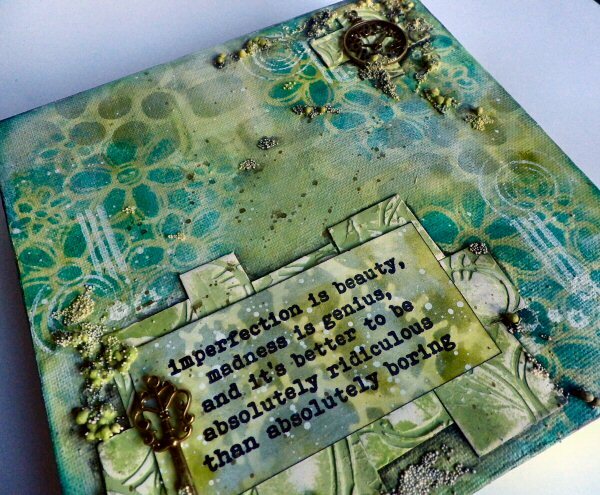 Here's just a sneak peek, to see more hop over to PaperArtsy. A fabulous project Sue and lovely to see you back crafting again. welcome back Sue.. your art work is amazing! Saw and loved this over at PA - fabulous to see you back in action.